Native Instruments has built a name for itself over the years as one of the leading manufacturers of music production equipment, especially for those that produce electronic music and make beats. In 2011, the company launched the Machine Mikro, a compact, lower-cost take on the great Native Instruments Maschine. Now, the company’s back with a refresh — a 2018 version of the Maschine Mikro, called the Native Instruments Maschine Mikro MK3, which aims to take the best aspects of the original, modernize it a little, and more. But can the Maschine Mikro MK3 live up to the now classic Native Instruments Maschine name? We put the new Native Instruments Maschine Mikro MK3 to the test to find out. The Maschine has always been a good-looking device, and the new Maschine Mikro MK3 is no exception to that rule. It follows the same basic design principles as the previous-generation device, with a new changes to help bring it into 2018. 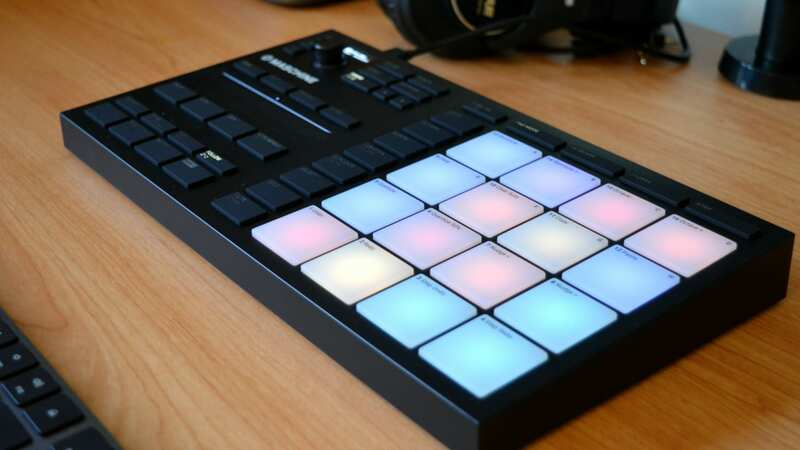 Like the older Maschine Mikro, on the right of the device you’ll find 16 pads, which feature a nice, solid, rubbery feel. Each of those pads is labelled for secondary functions, like Undo and Redo, which, once you get used to them, is a very handy feature. Above the pads, you find a few buttons for selecting the mode of the pads. By default, the pads work as their function — but you can tell the Mikro to switch to Keyboard, Chords, and Step modes. On the left of the pads is where you’ll find a number of creative and editing tools. We’re not going to go into all of those buttons and what they do — for that you can read the manual — but the concept is that you can do things like mute sounds, select sounds, manage patterns you have programmed, and more. 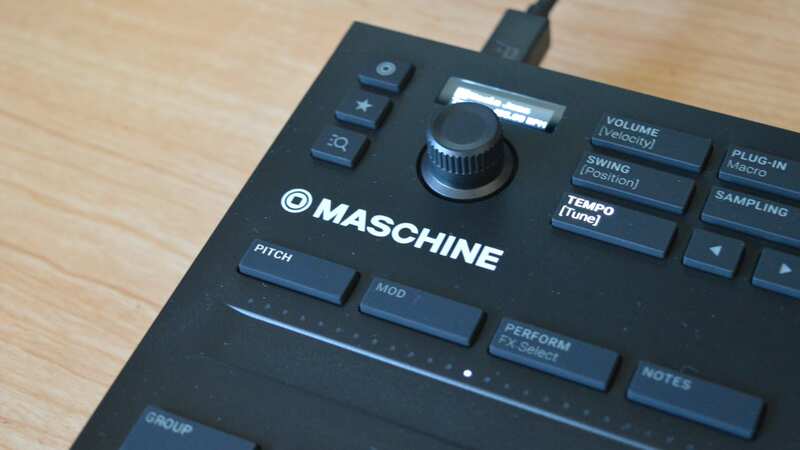 For the first-time Maschine users, these controls may take a bit of getting used to — but after spending some time with the device you should find them helpful. On the bottom left of the Mikro is where you’ll find transport controls, the shift button, and metronome controls. Above that are controls to group sounds, lock parameters to recall later, and more. Then, above that, you’ll find a touch pad with the ability to vary pitch, modulation, select effects, and even use to play different notes. We loved this concept — it was easy to introduce cool pitch and modulation effects to beats with it, and while we’re not sure how often you’ll want to use the “Notes” function, it’s still a pretty nice idea to have it there. Last but not least, at the top right of the device you’ll find edit controls, a small display that shows information like the instrument you’re currently using, and the encoder. The encoder comes in handy pretty regularly, such as adjusting different parameters in the Maschine 2 software, and more. Setting up the Maschine Mikro MK3 is an absolute breeze. All we really had to do was download and install the Native Access software, which is Native Instruments’ software hub for its products, then register the Maschine Mikro MK3. You’ll then be able to download the Maschine 2 software, install any firmware updates, and so on. Easy. The Maschine Mikro MK3 is well-designed, strong, and classy. 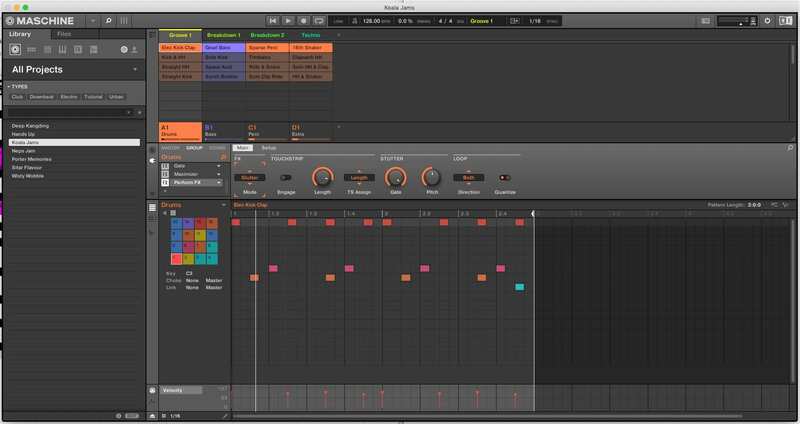 Native Instruments has done a great job at ensuring that the Maschine Mikro is as functional as possible — and while first-time users may need to spend an hour or two getting used to all the controls on offer, it’ll be very easy to get used to for those that have used previous Maschine hardware. The Maschine 2 software may be a few years old now, but we found it still to be powerful, full-featured, and relatively easy to work with — though depending on your background there may be a bit of a learning curve. Perhaps the best thing about the Maschine 2 software is how well it works with Native Instruments’ hardware and software. From the Native Access app, it’s easy to install Native Instruments sample packs and instruments, provided you have access to them in your account. As long as your Maschine Mikro MK3 is plugged in to your computer, Maschine 2 should also automatically detect and connect to it. With the Maschine Mikro MK3, you’ll have access to an impressive range of sounds and instruments. The sample library that you get, for starters, has 1GB of samples in it, and while it’s not uncommon to find much larger sample libraries than that, we think what’s on offer is more than enough to get you started. You also, of course, have access to incredible instruments like Native Instruments’ Massive, as well as Monark and Prism, which sound great in their own respects. Like with the Maschine Micro, there is somewhat of a learning curve, especially as someone who uses the likes of Pro Tools more than anything else. That said, if you have a bit of an understanding of audio production software, that learning curve isn’t really all that bad. There are a few ways you can use the Maschine Mikro within the Maschine 2 software. For starters, you can simply load up an instrument, like a piano for example, and use the different pads for different notes on a piano. Then, head to chord mode to play chords instead of notes, and so on. 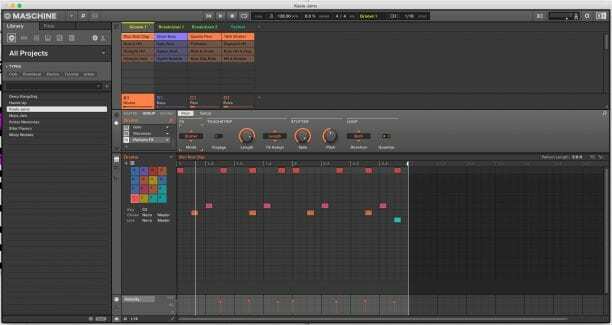 The different views in Maschine 2 are relatively easy to navigate. There’s the “Ideas” view, which helps you jot ideas down and get beats underway. Then there’s the “Song” view, which is where you can put together those beats into a more fleshed-out song. Last but not least is the “Mixer” view, which, as you might expect, allows you to change the volume, apply effects, and more, to your sounds. 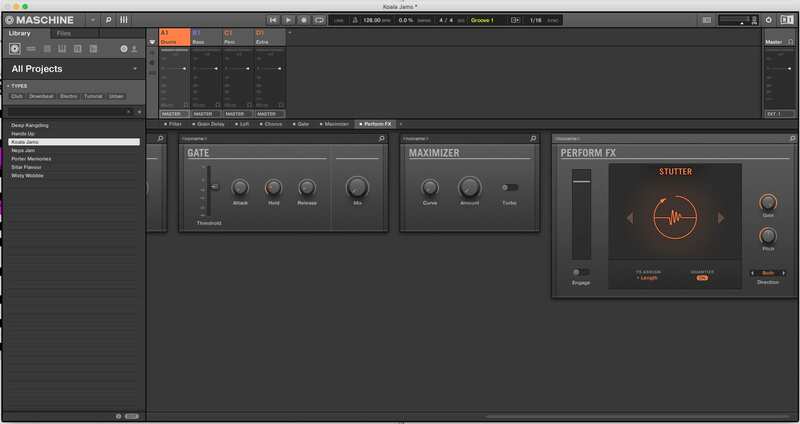 The Mixer view in particular really helps make Maschine 2 feel like a more fleshed-out DAW, which is good news. Ultimately, this is a review of the Maschine Mikro, not of the Maschine 2 software — but know that Maschine 2 works excellently with the Maschine Mikro hardware. That’s kind of the whole point of the Maschine series. There are plenty of hardware-only sequencers out there, but few — if not none — blend hardware and software as well as the Maschine. 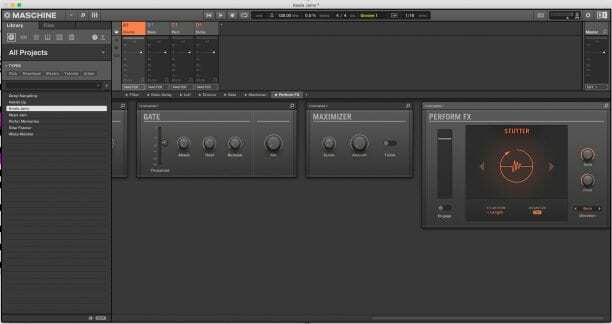 You can also use Maschine 2 as a plugin with your favorite DAW, and while it does require a little time and effort to make everything work properly, we find it wasn’t overly difficult to route the software as a Pro Tools plugin. After getting used to the layout of the Maschine Mikro MK3, using it is relatively easy. Like anything else, you might find yourself getting into a workflow with the Maschine Mikro MK3, which may involve using all the controls on offer, or may not. 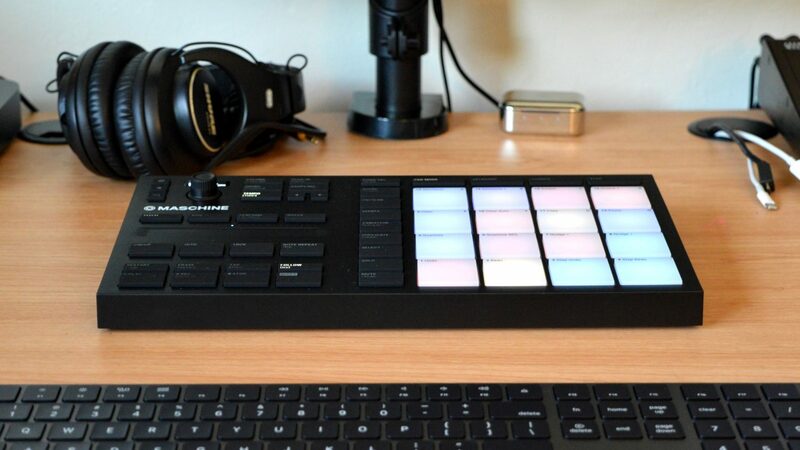 We found that the Maschine Mikro MK3 felt like a solid and high-end device. 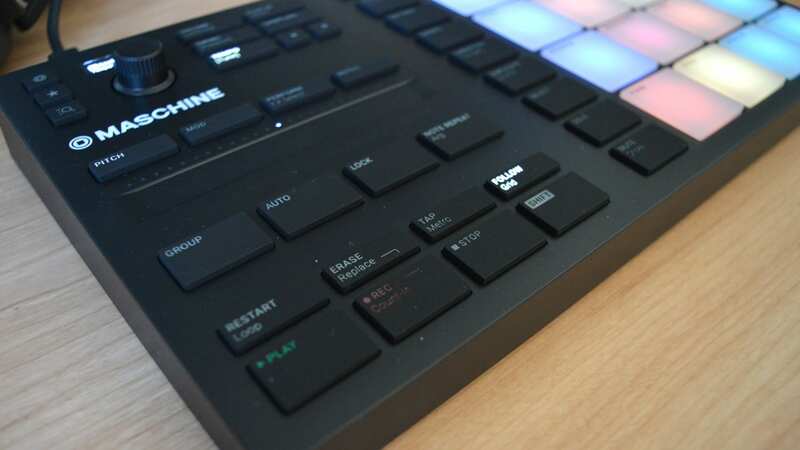 Buttons were responsive and clicks, and while we only used it for a few weeks before writing this review, we don’t expect anything to break on the Maschine Mikro within the first few months of use. 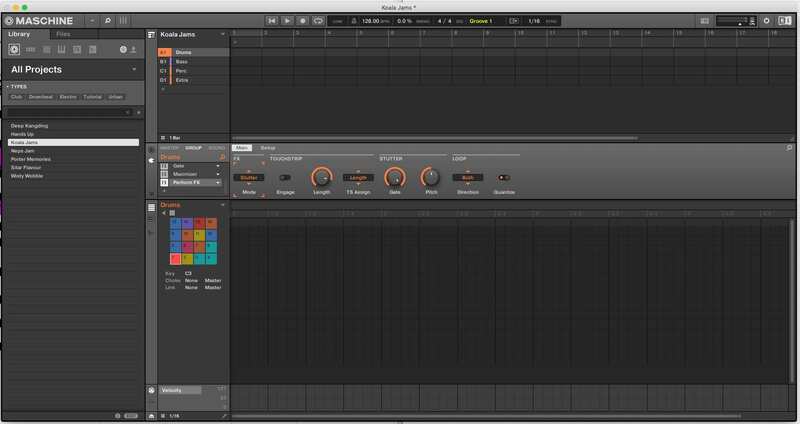 Once you get acquainted with the layout of the device, we found it easy to create beats in a matter of a few minutes. Sure, you’ll definitely want to spend longer on most projects, but the fact is this — the Native Instruments Maschine Mikro MK3 helps facilitate music creation by getting out of the way as much as possible. That’s always helpful. Looking for a beat-making machine and don’t want to spend too much? The Native Instruments Maschine Mikro MK3 is absolutely the way to go. The device itself is well-designed and very functional, and while there is a small learning curve for first-time Maschine users, once you get acquainted with everything the Maschine Mikro MK3 has to offer, you’ll find it easy to create music. Of course, you could always opt for the larger Maschine MK3, which offers a similar design but boasts two color displays that show more information and make for a slightly more full-featured experience — but the fact is that in this price range there’s really no better way to go.